A: I think the name I chose for my burger is just as fun as making it. Flavor-wise, the honey and garlic are the best parts! Q: What do you like most about cooking with Home Chef? A: I like Home Chef because of all the yummy and fun food choices. Getting new ideas about cooking different and new recipes, and being able to easily make them. Also, the ingredients are so fresh. Q: Any side dish recommendations for us? 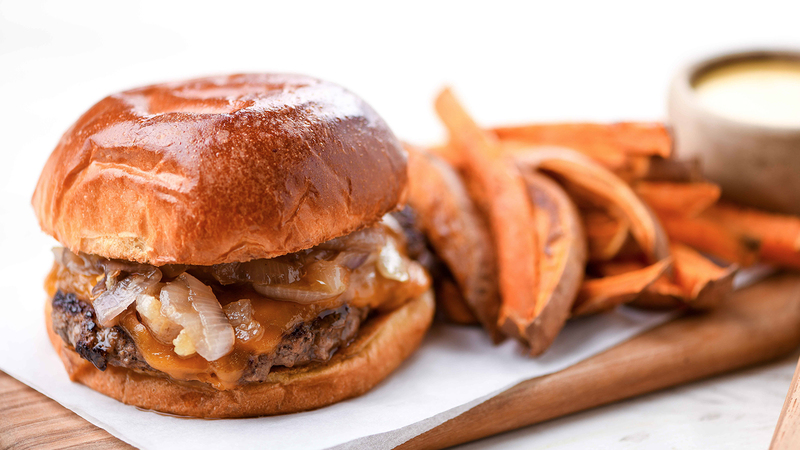 A: I think this burger would pair so well with sweet potato fries, or maybe even roasted broccoli to balance out the sweetness from the honey.